Now that Riley is getting older, I am much more concerned with how healthy we, as a family, are eating. Meat is a great source of protein and so we include a serving of meat every day in Riley's diet. Of course, preparation is key in determining how healthy any food really is and so I was very glad to have the opportunity to try out the brand new T-fal OptiGrill. 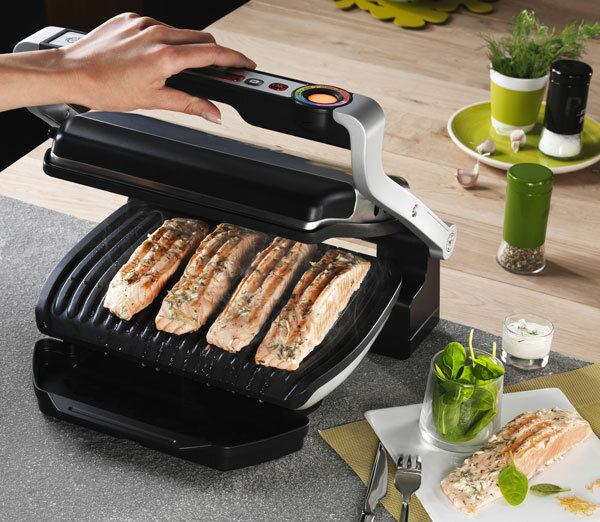 The T-fal OptiGrill is the new, one-of-a-kind way to grill indoors. The innovative OptiGrill features a cooking sensor that guarantees a perfectly cooked meal every time. The built-in sensor automatically adapts to the thickness of your food and delivers perfect doneness from rare to well-done for six different programs: burgers, poultry, sandwiches, sausage, red meat and fish. 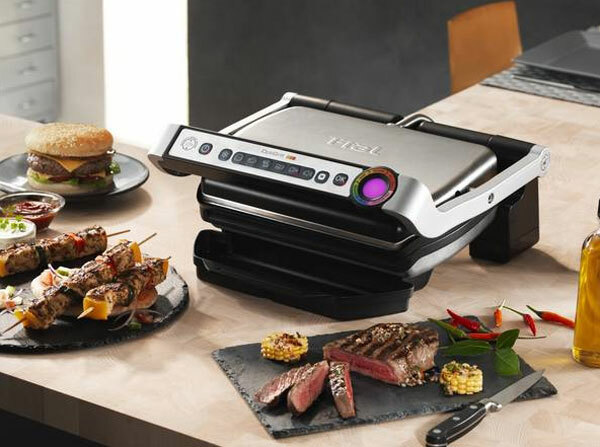 The T-fal OptiGrill is available at Bed Bath and Beyond and retails for $179.99. The manual cooking function is perfect for vegetables or personal recipes and the defrost setting evenly thaws all types of frozen dishes. The OptiGrill will get a perfectly cooked meal with every use so you’ll never have to slave over the grill – and guess when your food is cooked – again. The OptiGrill features angled plates that allow fat to drip off easily into the dishwasher safe drip tray. The brushed stainless steel exterior is sleek and compact for easy storage and the removable cooking plates are dishwasher safe for fast and easy clean up. 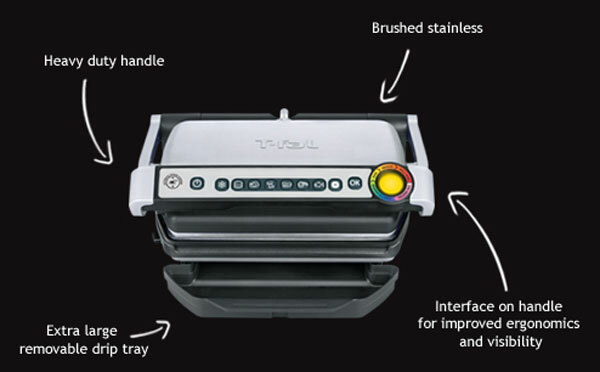 Disclosure: I received an OptiGrill from T-fal in order to facilitate my review. No other compensation was received. This product review is based on my own personal experiences with this item and is completely honest and objective.